Whether you need to show appreciation to 10 employees or 300 clients, we make corporate gifting a treat for everyone. 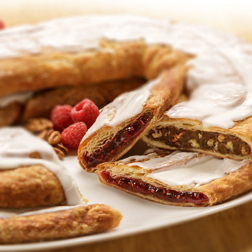 Select from over 30 Kringle flavors and a variety of gift packages to say thank you and build rewarding relationships. Looking for some suggestions? Head over to our category page where we give you some great ideas! If you know what you would like to order, you can download our order spreadsheet and fill out the shipping and product information for all your gift recipients. Once completed, email it to customerservice@kringle.com and we will contact you to finalize your order. We're available to answer any questions! 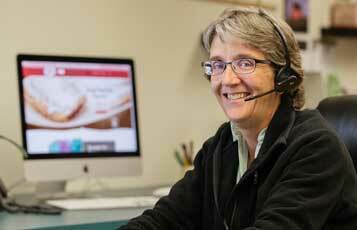 Call 1-800-432-6474, or email us, and our friendly staff can help you with all of your order details. Or, feel free to fill out our contact form, and we'll get back to you asap. Looking to repeat an order? We are happy to supply you with your gift recipient list from prior orders. Call us at 800-432-6474 or send us an email at customerservice@kringle.com. A personalized gift message including your company’s logo is complimentary when you send to 35 or more different addresses. Just send us your corporate logo and gift message and we do the rest. We can also insert your business card or other promotional item to advertise your service at no additional charge. Want to send a gift with your name on it? We'll help spread your brand message in a very tasty way. Many of our Kringle and coffee gift packages include coffee mugs. These ceramic classic style mugs can be printed with your company logo, or you can send us your corporate mugs to include in our gift packages. A minimum order of 72 mugs and a high-resolution image of your logo will be needed three weeks prior to ship date. Please call for additional info. Not sure what gift your recipient might like? Check out our suggestions! "Five Stars!! 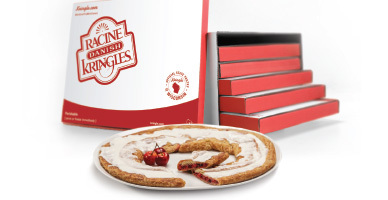 We have been using Racine Danish Kringles for client gifts for over ten years. They never disappoint. Our clients are delighted when they receive them just in time for Christmas. Customer service is excellent and they make shopping easy!" Tracey Lee, Raymond James & Associates Inc. Yes! The more you give, the more you save! We offer discounts on orders of $1000 or more. Discounts vary from 5% to 20% depending on product order total. Give us a call for more details! Can I include my own promotional items to go to my customers? Yes! We would be happy to send your promotional item with our Kringles. However, we will have to make sure it fits within our box size. Do you offer personalized greeting cards? Yes, we offer a complimentary personalized gift message including your company’s logo to 35 or more different addresses. We can also insert your business cards. We do offer billing to qualified businesses. Yes, you can choose your preferred delivery date. What days of the week can Kringles be delivered? Kringles deliver on Wednesday, Thursday or Friday, therefore your order will not be left in a warehouse over the weekend. We are able to change your order 72 hours prior to scheduled ship date. This may vary during the holiday season. Yes, we ship to all 50 states, plus Canada and Puerto Rico.